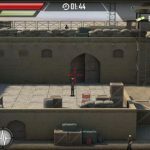 In the mobile game Contract Killer: Sniper, you play the role of a master assassin who’s hired to infiltrate secure locations and eliminate high-profile targets. The game, which is available for iOS and Android platforms, comes with over 250 missions and campaigns with specific objectives, a good number of weapons and defenses that you can upgrade as you go along, as well as a player vs player mode where you can attack other players’ bases and steal their resources. 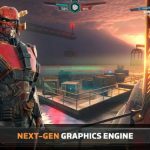 Now, if you’re planning to start playing this unique shooter game, but may find it too intimidating, don’t worry, as we’ve compiled a list of Contract Killer: Sniper cheats, tips and tricks for players who are just starting out. Remember that you’re supposed to be an expert sniper. That means you shouldn’t be out and about and in the open, because being seen is a recipe for disaster in many cases. 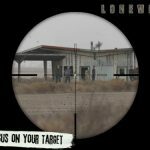 Try your best to stay behind cover whenever and wherever possible – hit the cover button right after shooting an enemy, because there will be more bad guys coming after you. This isn’t a game where you can go on an all-out attack like some action hero. This is a general rule in shooter games, but we might as well remind you of it once again. Head shots are the best kind of shots, as they kill the enemy instantly. And while it is easy to aim for the head at first, going for head shots becomes more difficult over time, especially when the game is moving at a fast pace. 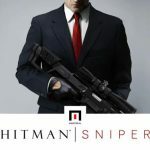 Regardless, aiming for the head is one of the most fundamental things you can do in Contract Killer: Sniper. In real life, firing a gun and killing someone is something that can be heard, therefore not too stealthy at the end of the day. As a sniper, you’re stealthier than the averaged hired killer, but if you want to keep an even lower profile, you can go ahead and kill the first enemy in a mission with your knife. This would be particularly useful when you’re playing the harder levels, though for best results, you may want to kill multiple enemies this way. You can buy knives with diamonds, which are the game’s premium currency. Assault rifles and sniper rifles are the two weapons that can benefit most from upgrades. Of course, you’ll be using your sniper rifle most of the time, but assault rifles are also useful when the action gets intense. But you also should upgrade your base, and not just your weapons. A base with a better defense would minimize your chances of losing diamonds, and would also increase your storage and production levels, both of which can be used when upgrading your weapons. Some missions would require you to destroy enemy cargo with your weapon. In this case, heavy weapons would be most effective, as they get the job done quicker and make it easier for you to earn diamonds.